Home / News / Products / Simply tweet to eat a packet of Walkers! Simply tweet to eat a packet of Walkers! 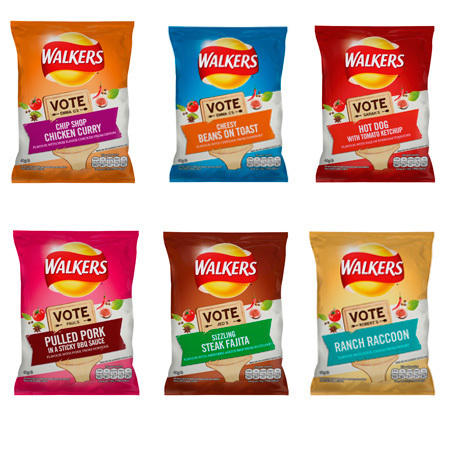 In an interesting attempt to boost their ‘do us a flavour’ campaign, Walkers are offering people the chance to win a free packet of crisps from a range of their new flavours. And all you have to do is tweet. Most competitions are never quite as straightforward and often involve answering a question that is often more difficult than it should be but with this idea, all you have to do is reach for your phone and type away which is something most of us do on a daily basis anyway. The three tweet activated vending machines can be found in London bus stops in Oxford Street and Clapham Junction right up until September 11th so get in quick! Each machine will deposit 260 packets each day and supplies will arrive before 11am and 5pm meaning that there is every chance you’ll be able to tuck in to a new, unique taste. So what exactly do you need to tweet in order to win? It’s simple. Just type a code to @walkers_busstop and your entry to the competition will have been accepted, while a virtual Gary Lineker, Walkers brand ambassador, will appear to be sitting inside the machine responding to tweets and vending the complete range of fresh flavours: sizzling steak fajita, chip shop chicken curry, pulled pork in a sticky BBQ sauce, ranch racoon, cheesy beans on toast and hot dog with tomato ketchup. The public can vote for their favourite to help deem the ‘flavour millionaire’. The options are now endless with our new snack machine arrivals. Check out some of the coolest vending machines from around the world! MacMillan Coffee Morning - Delicious goodies for a great cause.